Let me once again herald my joy over where I live. 😊 This post first ran in 2015. I live in Southern California. More important than that: I am a Southern Californian; have been for over two-thirds of my life. There is no other place where I can imagine myself to be. But wow, did I take a circuitous route to wind up here. Let me explain. 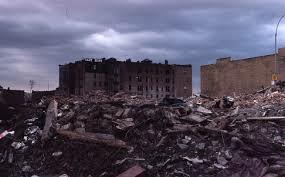 My neighborhood in The Bronx after I left. My parents were Eastern European immigrants who came through Ellis Island as kids and settled in different parts of the Big Apple, including the teeming Lower East Side. By the time I was born they lived in The Bronx, which back then was—like the Jeffersons—movin’ on up. The Lower East Side was pretty nasty then; today it’s a tourist attraction. I spent the first twenty-one years of my life in New York City and hated it. I finally “escaped” (not quite like Kurt Russell) in the late sixties. After my dad passed away and my mom and brother moved to Florida, I had no reason to go back there, and I didn’t—not for over thirty years. Funny thing: I love visiting New York now, and I’ve been back a number of times. Broadway theater is the best; I have some great cousins still living there; and we see and do things that I could have seen and done during my younger years, but never did. Ah well, I guess that’s where maturity kicked in. Never having traveled anywhere as a kid, I had no idea where to go if and when I did leave NYC. 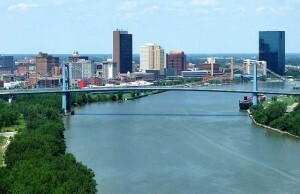 I settled on Toledo, Ohio, the hometown of my first wife. It seemed—well, safe. I’d met her family, and it looked like a nice place, and the best part: it wasn’t New York. I was right, too. A medium-sized city, Toledo had plenty to offer, and if I needed major league baseball or touring theater, Detroit was an hour away. I grew comfortable there. Maybe too comfortable. One late afternoon I drove like a madman up I-75 through a swirling snowstorm in order to not be late for the start of my Wednesday night bowling league. On the way I asked myself the 1970s equivalent of “WTF?” When my bowling league had become the be all and end all in my life, it was time to move on. I’ll stop right there. There is little of a positive nature that I can say about my time in Cincinnati, so I’ll opt to say nothing at all. The best thing: living there gave me the motivation to make the Big Move, and though I’d never been to California, I became—well, obsessed with living there. 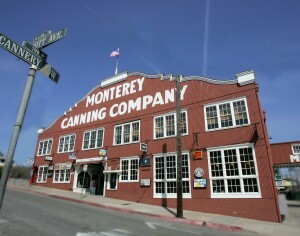 John Steinbeck’s ghost still roams Cannery Row. I especially loved two places. The first, Monterey, was a beautiful seaside town with a great deal of history—especially for a Steinbeck junkie like me. But it was an expensive place to live, and the job prospects weren’t great. The second, naturally, was San Diego. To be honest, I’d pretty much made up my mind about that before ever setting foot in California. Nicknamed “America’s Finest City,” San Diego has some of the best weather in the world. I had vowed back then never to shovel snow again—and I never have. The city has its flaws—what city doesn’t?—but coming here was the best move I ever made. I found my creative muse here. My three daughters were born here. And best of all, I met Jacqueline—the love of my life, my soulmate—in San Diego.